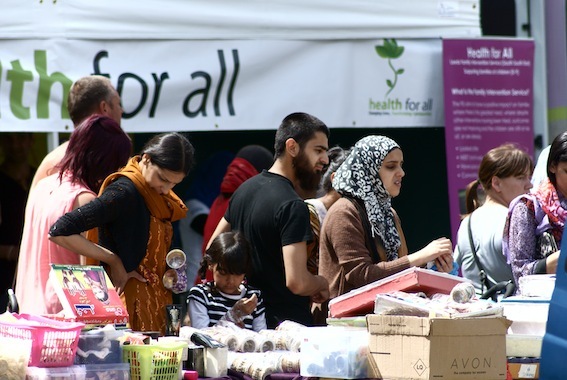 UPDATED: Bookings are now CLOSED for stalls in the Bazaar at the 2016 Beeston Festival. Each pitch is 3 metres wide, you may order as many as you require. You must provide your own gazebo, but you can hire chairs and tables via the Festival at an extra charge, or bring your own. Each stall will receive two car passes onto the site. Once you have returned the form and payment you will receive an acknowledgement. Full details for the day including you stall pitch number and location will be sent to you by the end of May. Stall bookings close on Friday 6 May and no bookings will be taken after this date. If you have any queries please email christine.thornton@mypostoffice.co.uk or ring (0113) 270 0875. Bookings close on Friday 16 May to allow our volunteers to process the forms and allocate pitches. No bookings will be taken after this date, so don’t delay – book today! Prices and conditions are explained on the form but if you have any queries please email: christine.thornton@mypostoffice.co.uk or phone (0113) 270 0875.